HONOLULU -- Jim Nabors, the shy Alabaman whose down-home comedy made him a TV star as Gomer Pyle and whose surprisingly operatic voice kept him a favorite in Las Vegas and other showplaces, died Thursday. He was 87. Nabors, who underwent a liver transplant in 1994 after contracting hepatitis B, died peacefully at his home in Hawaii after his health had declined for the past year, said his husband, Stan Cadwallader, who was by his side. Cadwallader told CBS News that Nabors' underwent a series of tests on Wednesday, but the decision was made to bring him home from the hospital. "Everybody knows he was a wonderful man. And that's all we can say about him. He's going to be dearly missed," Cadwallader said. The coroner has not yet released Nabors' cause of death, but Cadwallader said it appears to be from natural causes. The couple married in early 2013 in Washington state, where gay marriage had recently been made legal. Nabors' friends had known for years that he was gay, but he had never said anything to the media. "It's pretty obvious that we had no rights as a couple, yet when you've been together 38 years, I think something's got to happen there, you've got to solidify something," Nabors told Hawaii News Now at the time. "And at my age, it's probably the best thing to do." Nabors became an instant success when he joined "The Andy Griffith Show" in the early 1960s. The character of Gomer Pyle, the unworldly, lovable gas pumper who would exclaim "Gollllll-ly!" proved so popular that in 1964 CBS starred him in "Gomer Pyle, U.S.M.C." In the spinoff, which lasted five seasons, Gomer left his hometown of Mayberry to become a Marine recruit. His innocence confounded his sergeant, the irascible Frank Sutton. Audiences saw another side of Nabors in appearances in TV variety programs -- his booming baritone. The contrast between his homespun humor ("The tornado was so bad a hen laid the same egg twice") and his full-throated operatic arias was stunning. 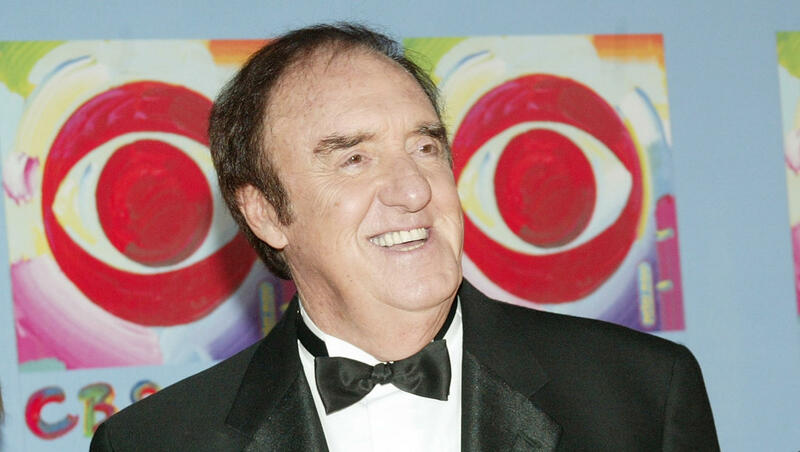 For two seasons beginning in 1969, CBS presented "The Jim Nabors Hour" on which he joshed with guest stars, did sketches with Sutton and fellow "Gomer" veteran Ronnie Schell, and sang country and opera. Offstage, Nabors retained some of the awed innocence of Gomer. At the height of his fame in 1969, he admitted, "For the first four years of the series, I didn't trust my success. Every weekend and on every vacation, I would take off to play nightclubs and concerts, figuring the whole thing would blow over some day. "You know somethin'? I still find it difficult to believe this kind of acceptance. I still don't trust it." After the end of his variety show, Nabors continued earning high salaries in Las Vegas showrooms and in concert theaters across the country. He recorded more than two dozen albums and sang with the Dallas and St. Louis symphony orchestras. During the 1970s he moved to Hawaii, buying a 500-acre macadamia ranch. He still did occasional TV work, and in the late 1970s, he appeared 10 months annually at Hilton hotels in Hawaii. The pace gave him an ulcer. "I was completely burned out," he later recalled. "I'd had it with the bright lights." In the early 1980s, his longtime friendship with Burt Reynolds led to roles in "Stroker Ace," ''Cannonball II" and "The Best Little Whorehouse in Texas." He returned to concert and nightclub performances in 1985, though at a less intensive pace. "It was kind of like 'The Twilight Zone' for me, all of us standing there in costumes, the girls in spangles, no tops," he told The Associated Press during his comeback stint at the Las Vegas Hilton. "I looked around and told the girls, 'I'm used to being on the back of a tractor, then to be dropped into the midst of this! It's kind of weird.'" Among his regular gigs was singing "Back Home Again in Indiana" at the Indianapolis 500 each year, which he first did in 1972. The first time, he wrote the lyrics on his hand so he wouldn't forget. "I've never thought of (the audience reaction) as relating to me," Nabors said. "It's always relating to the song and to the race. It is applauding for the tradition of the race and the excitement." Illness forced him to cancel his appearance in 2007, the first one he had missed in more than 20 years. He was back performing at Indy in 2008, saying, "It's always the main part of my year. It just thrills you to your bones." Nabors was an authentic small-town Southern boy, born James Thurston Nabors in Sylacauga, Alabama, in 1930, son of a police officer. Boyhood attacks of asthma required long periods of rest, during which he learned to entertain his playmates with vocal tricks. After graduating from the University of Alabama, he worked in New York City for a time, and later, in Chattanooga, Tennessee, where he was an assistant film editor and occasional singer at a TV station. Nabors moved on to Hollywood with hopes of using his voice. While cutting film at NBC in the daytime, he sang at night at a Santa Monica club. "I was up there on the stage the night that Andy Griffith came in," Nabors recalled in 1965. "He said to me afterward, 'You know somethin,' boy? You're good. I'm going to bring my manager around to see you.'" In 1991, Nabors got a star on Hollywood's Walk of Fame in ceremonies attended by pals Carol Burnett, Loni Anderson, Phyllis Diller and Florence Henderson. His reaction? "Gollll-ly!"